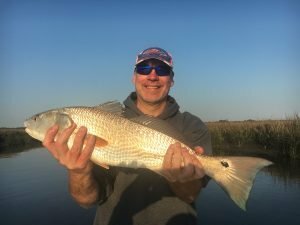 After a recent cold snap the Redfish have scrolled up on the flats and in the creeks and they are chewing! My clients are catching easy limits of Reds with a few nice Specks mixed in on some trips! The weather couldn’t be better right now so call to book your fishing charter today.